Comment: We live on 2-1/2 forested acres (approx. 330x310). We would like to install 4' field fence around the perimeter and some kind of gate at our driveway to keep our dog in. Comment: I would like to get an estimate for wood fence replaced. Comment: I would like to get an estimate for having a privacy fence installed at my home. Comment: Wood fence thatâs worn, some loose slats and fence is coming apart from posts in places. Just one side of fence needs repair at this time. Six sections measuring between 4-5â. Maybe 3-4 sections need attention. Poulsbo Fence Contractors are rated 4.73 out of 5 based on 159 reviews of 18 pros. 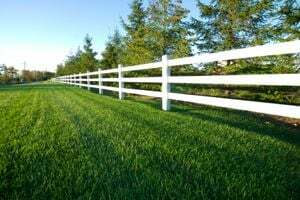 Not Looking for Fences Contractors in Poulsbo, WA?